Travel lift has different capacities. Small Travel Lift For Light Duty, Large Travel Llift For Heavy Duty! 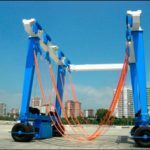 According to lifting capacity, travel lift includes heavy duty travel lift and light duty travel lift. These two travel lifts both can increase efficiency, save energy and improve working condition. 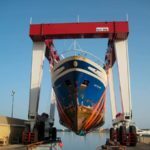 High lift capacity travel lift includes 200 ton travel lift, 300 ton travel lift for sale, travel lift 400 ton, 500 ton mobile boat lift gantry crane, 600t boat hoist, 800 ton marine travel lift. 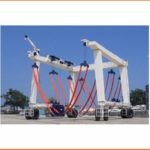 Small boat hoist has loading capacity less than 100t, such as 10 ton travel lift, 15 ton boat hoist, 25 ton marine travel lift, 35 ton boat hoist gantry crane, 50t portable vessel hoist crane, 75 ton boat travel lift. Whatever large travel lift or small travel lift, safety is always important. 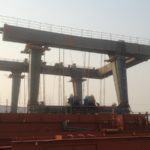 Operate the crane according to standard rules, check the crane carefully before and after using device, take measures to solve the problems for any abnormal condition. 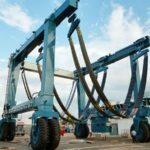 These tips can ensure crane’s good condition, long service life and protect operator’s security. 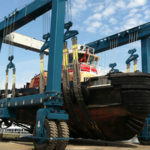 For large boat hoist, it is perfect choice for heavy duty. Its powerful lifting capacity makes lifting and transporting work easier and safer. 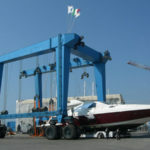 For small boat hoist, it is suitable for light duty. It has portable weight, compact structure, flexible move and convenient use! 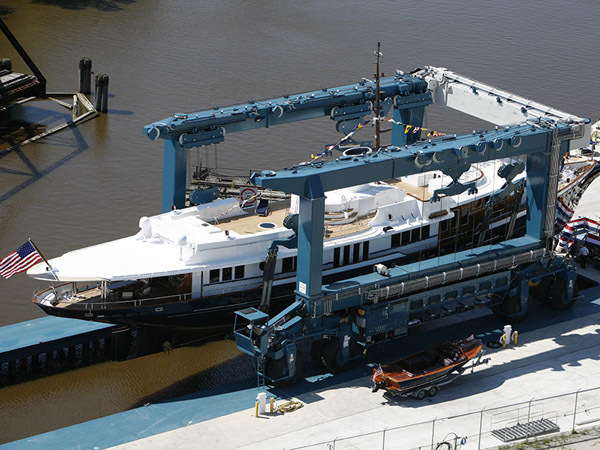 Customers purchase marine boat hoist cranes according to practical needs and specifications, Ellsen provides customized service for the most suitable travel lift!